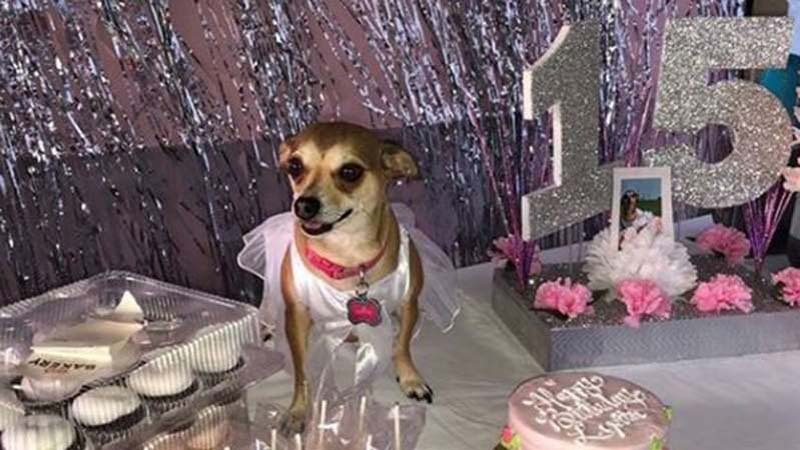 This Adorable Chihuahua Didn't Just Have a Birthday Party — She Had a Quinceañera! This is not your average dog birthday party! This is a dog birthday party unlike any you've ever seen! 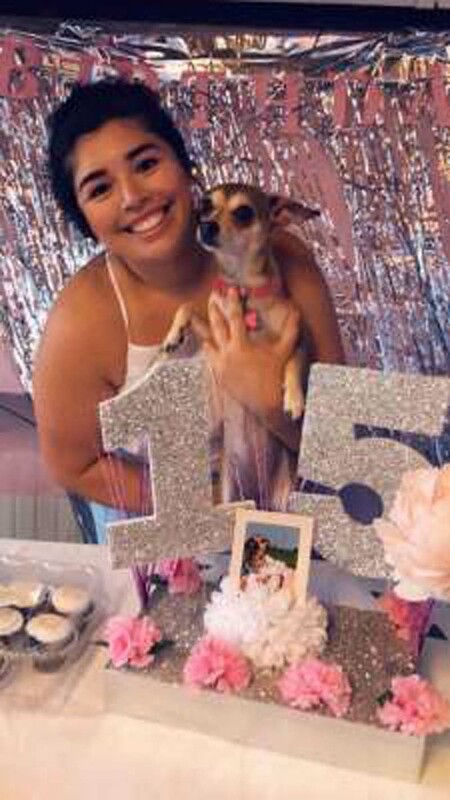 Lupita Conchita, a 2-year-old Chihuahua from Texas recently celebrated her birthday with an unforgettable quinceañera bash. © Miranda Sanchez TODAY, product courtesy of merchant siteLupita looks like a princess! According to owner Miranda Sanchez, planning the celebration typically reserved for 15-year-old girls makes perfect sense. "I figured that she's almost 15 in dog years," Sanchez told TODAY Pets with a laugh. 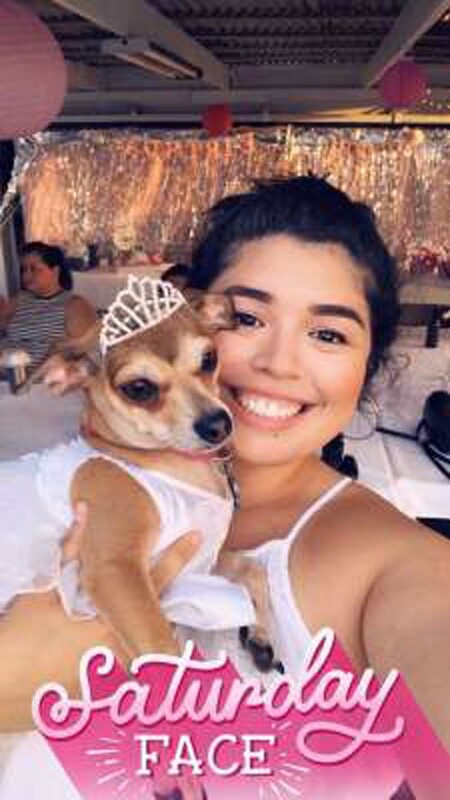 "I had seen dog quinceañeras before and I thought they were so cute, plus, Lupita is a Mexican dog so I thought, 'How cute!'" Lupita Conchita's quinceañera mirrored the lavish, traditional party with Latin roots meant to celebrate a girl's transition from childhood to adulthood. To get the effect, Sanchez decorated her grandmother's backyard for the party with silver streamers, twinkly lights and lots of glitter. "I thought it would be a good excuse to get my family and friends together and have drinks and a good time," she said. 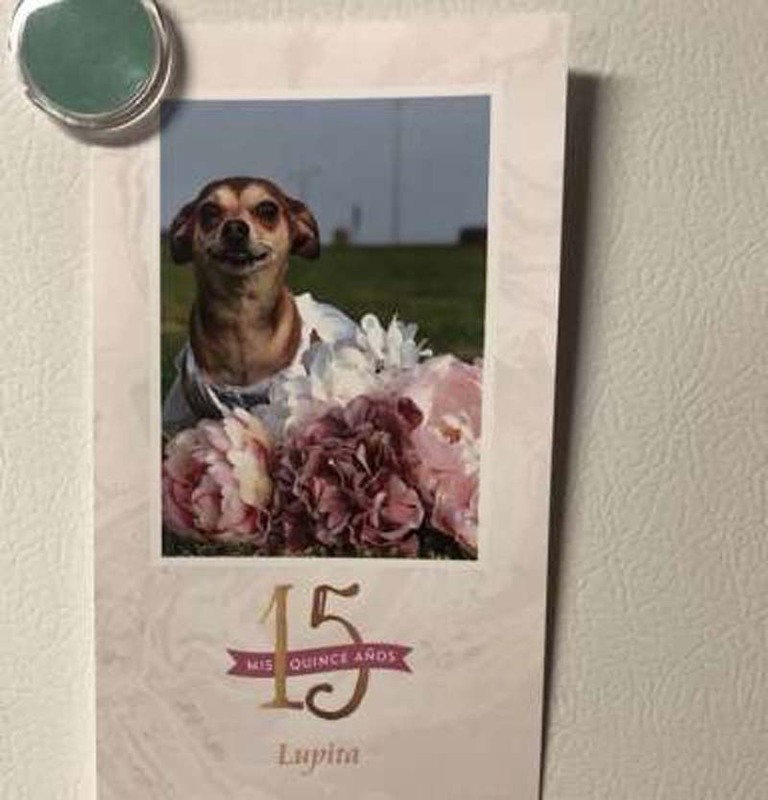 Lupita had about 20 human guests and seven dogs attend the big bash. 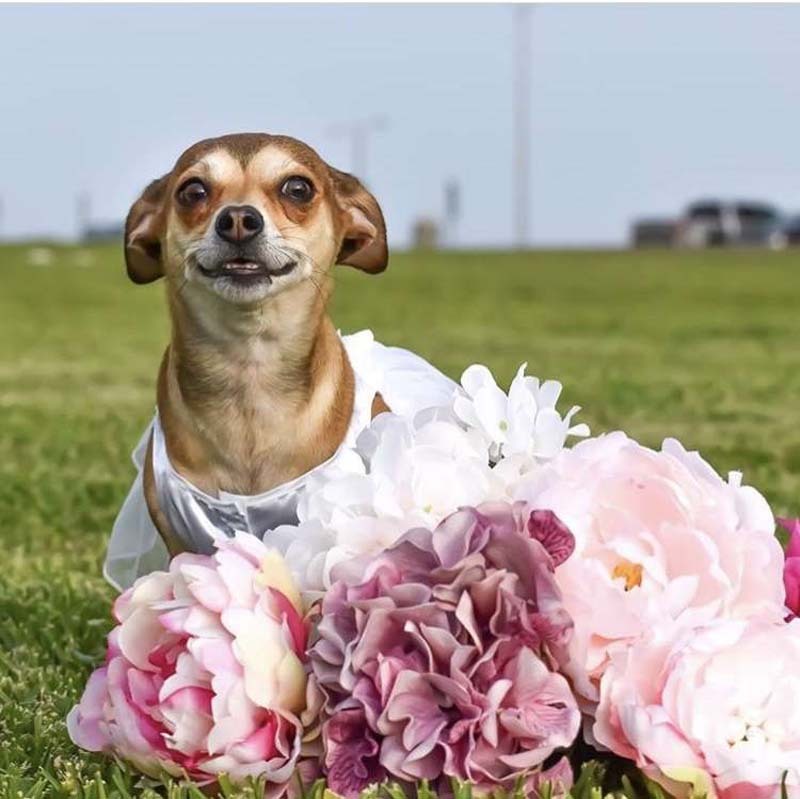 "All the girl dogs were dressed up in little dresses, it was adorable," said Sanchez. "Lupita was in hog heaven." © Miranda Sanchez TODAY, product courtesy of merchant siteSanchez sent out paper invitations for the big day. Sanchez rescued Lupita when she was only two weeks old and likely faced abuse from her previous owners, according to the veterinarians who later cared for her. "I saw Lupita in the road and I was kind of just waiting for her to move," said Sanchez. "But then I opened my door and she was standing right there and her eyes were so cute. I knew I had to take her in." Sanchez topped off the festivities with food for both canines and their owners as well as a special treat for the birthday girl. "I got Lupita a little personal cake and catered barbecue, because Lupita loves ribs," said Sanchez. "So all the dogs who like barbecue got a rib." Each dog got a goodie bag, too! All in all, it was a pretty big day for Lupita Conchita the Chihuaha and all of her puppy pals. © Miranda Sanchez TODAY, product courtesy of merchant siteNow that's a happy pup! 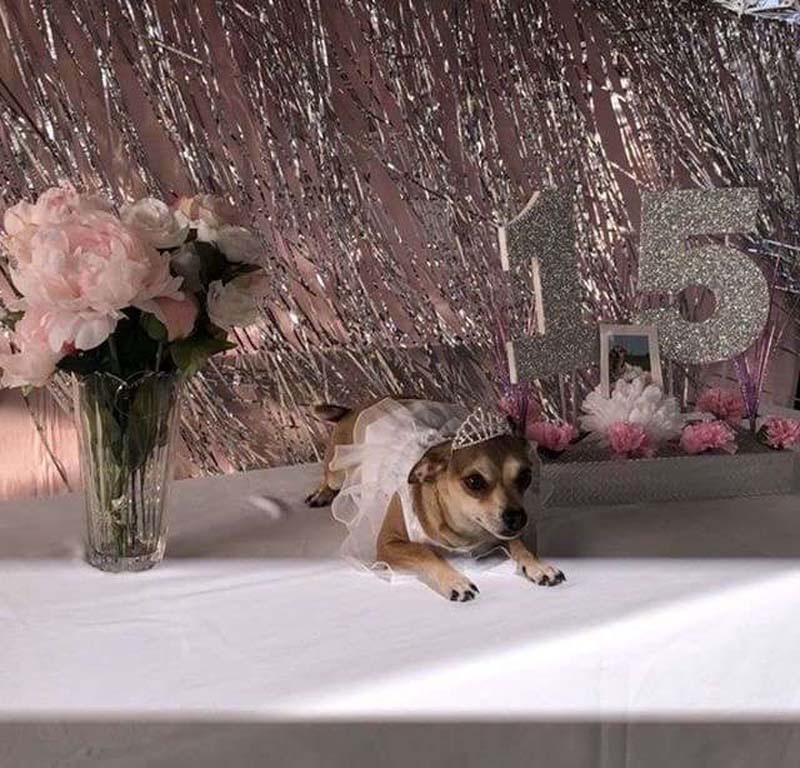 Pets Magazine: This Adorable Chihuahua Didn't Just Have a Birthday Party — She Had a Quinceañera!